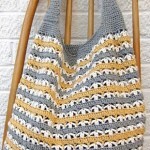 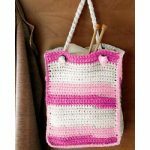 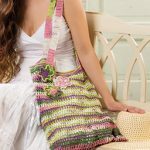 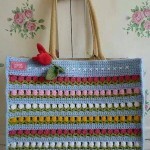 Striped Tote Bag Free Crochet Pattern. 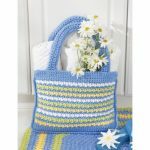 This crocheted bag is the perfect size for taking with you wherever you may go! 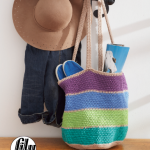 Use warm weather colors as shown, or change up the colors for a fall or winter look.